The unreliability of Wikipedia has often been remarked, for instance in relation to matters of health and medicine (“Health, Wikipedia, and Common Sense” and further links there). To be more precise: Whenever there’s a range of opinion, Wikipedia is unreliable because its entries are typically controlled by a single viewpoint. The fundamental, inescapable reason for Wikipedia’s untrustworthiness is that it was founded on the naïve premise that an unregulated free-for-all would make the entries reliable through the contributions of anyone and everyone interested in a given topic. Such a premise could only be held by someone immersed in abstraction and simplemindedly ignorant about the ways of human beings. Even the most rudimentary awareness of human behavior reveals the primacy of emotions. Those most likely to be actively involved in an enterprise are those who have the strongest interests in them. As to “knowledge”, dogmatically fanatical believers or disbelievers will be over-represented on any given topic; just sample blogs and other Internet forums. Historians, psychologists, sociologists — humanists and social scientists would never dream that truth or sound knowledge could result from a contributors’ free-for-all, no matter under what written policies. As I’ve remarked before, “Wiki’s policies are indeed splendid, and they would work just fine if the people contributing to Wiki were impartial, unbiased, unprejudiced, and scrupulous in gathering all available information on any given topic and presenting it evenhandedly. Such people do not exist, however, and there’s no mechanism for impartial resolution of differences of opinion about Wiki entries”. The founder of Wikipedia is indeed demonstrably naïve about human beings and simpleminded about matters social and political: “Jimmy Wales . . . is so enthralled with Rand and objectivism that he named his daughter after one of the characters in a Rand novel”. I enjoyed Ayn Rand’s The Fountainhead and Atlas Shrugged thoroughly, in the same way as I enjoy fictional thrillers for their moral certitude and for their endings where the good guys always win, but it never occurred to me that the real world is anything like Rand’s scenarios, or ever could be anything like that. At any rate, Wikipedia is useful only when one already knows enough about a subject to assess the reliability of its entries. And on any halfway controversial topic, Wiki is dogmatically one-sided. 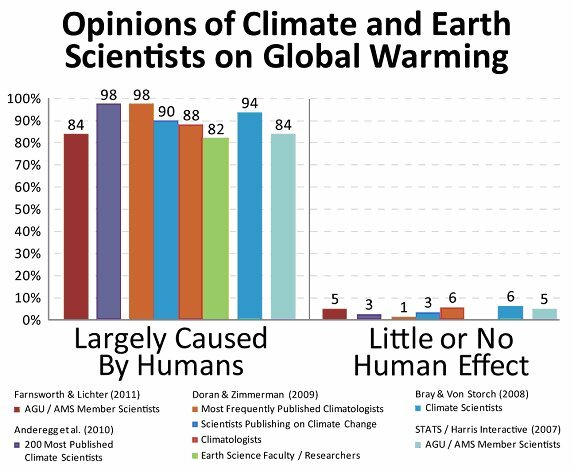 Take the case of whether human activities are appreciably responsible for warming up the globe: Any number of relevant entries are slanted to support the so-called “scientific consensus” and to denigrate anyone who questions it, for example “Climate change denial”, “Scientific consensus”, “Scientific opinion on climate change”, “Global warming controversy” — among quite a few more. Some familiarity with rhetorical devices help in recognizing such biases. It is perfectly possible to convey a misleading impression without mis-stating facts, just by selective citing of sources, for instance. Thus the Wiki entry on the “Science & Environmental Policy Project” begins by summarizing correctly some of the points made there against the hypothesis of human-caused global warming (AGW, for anthropogenic GW), but unproven “facts” and misleading citations are then used to contradict those points. For instance, it says that “Patrick Michaels, a well-known ‘skeptic’, has said that it is ‘proven humans are warming the atmosphere’ ”; however, that reference  contains no mention of Patrick Michaels, let alone citing something that he does not believe. In the Wiki entry on “List of scientists opposing the mainstream scientific assessment of global warming” Michaels is classed among “Scientists arguing that global warming will have few negative consequences” and not under “Scientists arguing that global warming is primarily caused by natural processes”, which is entirely deceptive: global warming will have few negative consequences because carbon dioxide is not producing significant warming, and Michaels could equally have been listed under “Scientists arguing that global warming is primarily caused by natural processes”. Note too that Michaels qualifies as a “Climate Misinformer” at “Skeptical science: Getting skeptical about global warming skepticism”. Read what Michaels himself has written, say in Forbes magazine, to appreciate that he qualifies fully as a global warming “denialist”, the term used by vigilantes to describe anyone who points out that carbon dioxide has an entirely unproven but certainly negligible role in the warming trend as Earth recovers from the last Ice Age. Wiki’s “List of scientists opposing the mainstream scientific assessment of global warming” is altogether deceptive. It has only some 50 names even though many thousands of others have expressed similar views publicly. Here’s Wiki’s attempted excuse for this deceptive maneuver: to be listed, “it is not enough for a name to be found on a petition or similar” — a decision, enforced by anonymous Wiki editors, for which there is no rational basis. Imagine if such “reasoning” were applied to getting candidates for political office onto an official ballot, say. What might the Supreme Court hold if a political party attempted to disqualify signatures supporting a candidate’s name by claiming that signing a petition does not indicate a person’s belief? Such tricks may not be immediately obvious to the unwary reader coming newly to this topic. Those who capture Wiki entries on a given topic are often shrewd enough, and certainly unscrupulous enough, to employ deceptions of all sorts — like Jimmy Wales claiming that Wiki policies ensure that only sound science is represented. Connoisseurs of polemics will appreciate the facility with which Wiki projects evenhandedness while ensuring that readers are seduced to a particular viewpoint. S. Fred Singer, for example, has held so many prominent positions at first-rate places that his expertise cannot be denied even by Wiki. But the introduction of his entry concludes with the sentence, “Singer has been accused of rejecting peer-reviewed and independently confirmed scientific evidence in his claims concerning public health and environmental issues. ”. This reminded me — unpleasantly, of course — of the professor at the University of Sydney who used to make the rounds at cocktail parties saying things like, “Isn’t it despicable, the way they are maligning X . . . — about his cheating on his wife, embezzling research funds, seducing interns (male as well as female) . . .”, thus effectively smearing X while pretending to deplore the rumor-mongering of others. 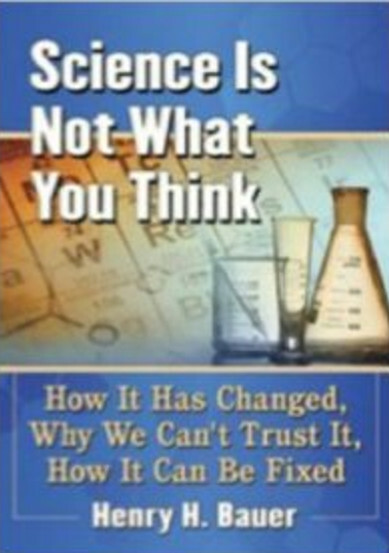 The four sources cited by Wiki about the accusations against Singer include only such negative views as “Merchants of Doubt: How a Handful of Scientists Obscured the Truth on Issues from Tobacco Smoke to Global Warming” (by Naomi Oreskes and Erik M. Conway, Bloomsbury, 2010) and “The Denial Machine” (Canadian Broadcasting Corporation, 15 November 2006, 16:01–16:35 mins). Innuendo, rumor-mongering, cherry-picking of sources and every other sleight-of-word trick is deployed in Wiki’s entries on any halfway controversial topic. Misleading in this manner is much more culpable than straight-out lying: “There is a difference between misleading statements and false ones; striving for ‘the clear reception of the message’ you are sometimes allowed to lie a little, but you must never mislead” (Paul R. Halmos, I Want to Be a Mathematician, 1985, pp. 113-14). The reason is that lies can readily be countered, but there is not effective way to defend against insinuations, rumors, innuendo. But bias will always be in control because it is the anonymous and not evenhanded Wiki editors who rule on what is “reliably sourced” and at what stage “the dispute is resolved”. OMSJ™ (Office of Medical & Scientific Justice) once again alerted me to something well worth reading: a study in the Journal of the American Osteopathic Association revealing how unreliable Wikipedia is about matters of health and medicine. An editorial in the Journal comments on the same issue. I had first learned about Wikipedia when a friend alerted me that there was an entry about me. 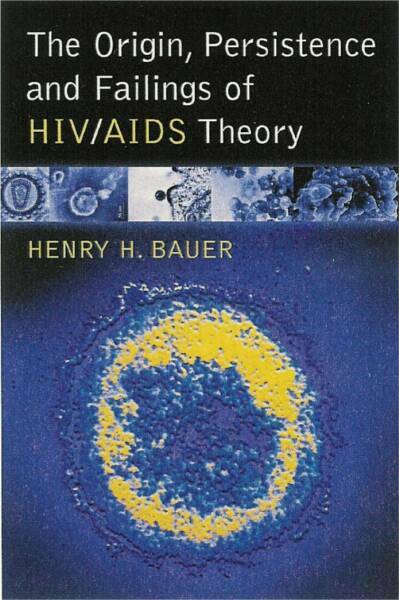 It turned out to have been composed by someone furious about my “HIV/AIDS denialism”, namely, a graduate student and member of AIDStruth.org who had also posted at amazon.com a nasty review — however soon withdrawn by him — of my book, The Origin, Persistence and Failings of HIV/AIDS Theory. Several of my friends had attempted to have the worst calumnies in the Wiki entry modified toward accuracy, but they were always defeated by the original miscreant, abetted by Wiki’s editors. And I learned that Wiki’s rules forbid one from correcting even factual errors in one’s own bio entry. For some of what I’ve learned Wiki’s flaws, see Beware the Internet: Amazon.com “reviews”, Wikipedia, and other sources of misinformation; The Fairy-Tale Cult of Wikipedia; Another horror story about Wikipedia; The unqualified (= without qualifications) gurus of Wikipedia; Lowest common denominator — Wikipedia and its ilk. The obvious question is, why would anyone think that an “encyclopedia” could be at all reliable when it is written by whoever cares to do so? With “editors” “appointed” just because they want to be? It could only be someone who is very simpleminded and naively ignorant about human beings. Fifty years ago or so, that was exemplified by some science-fiction buffs: for instance, those who fell for Dianetics, a bowdlerized and over-simplistic take-off on psychology and psychoanalysis, and Dianetics’ progeny, Scientology, which adds to the pseudo-psychology the pseudo-religious notions of Theosophy and its ilk. The intellectual basis for these cults was no secret, they originated with L. Ron Hubbard, a successful author of Science Fiction. Nowadays the Hubbard-role is played by computer buffs or computeroids (like Jimmy Wales, founder of Wikipedia) who appear to believe that software programs and robots can be made artificially intelligent, that things designed and made by human beings can transcend the fallibilities of humans, and that anyone clever enough to use a computer is thereby qualified by integrity, knowledge, and wisdom to participate in creating an “encyclopedia”. “Wikipedia is widely used and trusted. Unfortunately, much of the information related to holistic approaches to healing is biased, misleading, out-of-date, or just plain wrong. For five years, repeated efforts to correct this misinformation have been blocked and the Wikipedia organization has not addressed these issues. 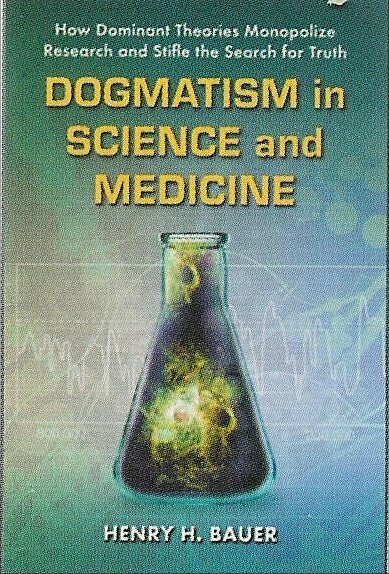 As a result, people who are interested in the benefits of Energy Medicine, Energy Psychology, and specific approaches such as the Emotional Freedom Techniques, Thought Field Therapy and the Tapas Acupressure Technique, turn to your pages, trust what they read, and do not pursue getting help from these approaches which research has, in fact, proven to be of great benefit to many. This has serious implications, as people continue to suffer with physical and emotional problems that might well be alleviated by these approaches. This is exactly the case with the Wikipedia pages for Energy Psychology, Energy Medicine, acupuncture, and other forms of complementary/alternative medicine (CAM), which are currently skewed to a negative, unscientific view of these approaches despite numerous rigorous studies in recent years demonstrating their effectiveness. These pages are controlled by a few self-appointed ‘skeptics’ who serve as de facto censors for Wikipedia. They clothe their objections in the language of the narrowest possible understanding of science in order to inhibit open discussion of innovation in health care. As gatekeepers for the status quo, they refuse discourse with leading edge research scientists and clinicians or, for that matter, anyone with a different point of view. Fair-minded referees should be given the responsibility of monitoring these important areas. Wikipedia’s policies around this kind of thing are exactly spot-on and correct. If you can get your work published in respectable scientific journals — that is to say, if you can produce evidence through replicable scientific experiments, then Wikipedia will cover it appropriately. 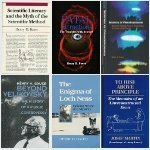 So Wales reveals himself to be an acolyte of scientism (Scientism, the Religion of Science) and wrong as well about replication and peer review; and a typical computeroid who believes that all that matters is that policies should be “spot-on”, whereas anyone with experience of working with human beings knows that it isn’t the policies that matter but who administers them and how. Wiki’s policies are indeed splendid, and they would work just fine if the people contributing to Wiki were impartial, unbiased, unprejudiced, and scrupulous in gathering all available information on any given topic and presenting it evenhandedly. Such people do not exist, however, and there’s no mechanism for impartial resolution of differences of opinion about Wiki entries. On any topic where there is a significant difference of opinion among sane and reasonably informed people, Wiki is at the mercy of the fanatical extremists who grab control of the pertinent entry. I’m agnostic about acupuncture, knowing people who have been helped by it and others who have not, and having seen studies where fMRI and voltage measurements seem to show something significant about the classical acupuncture points. However, I’m not a fan of “Energy Psychology, Energy Medicine” and their ilk and believe that any of their benefits reflect the placebo response. Some decades ago I read Martin Gardner’s Fads & Fallacies In the Name of Science and did not question his classification of chiropractic and osteopathy as quackery. Since then I’ve learned, and not only at first hand, that chiropractic can be very helpful in some instances of back pain, and that osteopathy is nowadays quite different from its origins. A former colleague in the Chemistry Department is now president of the Via College of Osteopathic Medicine in Blacksburg, and I learned that the curriculum of this College is the same as that of conventional Colleges of Medicine with the addition of 200 hours of instruction in manipulation: in other words, osteopathy nowadays is mainstream medicine plus chiropractic.